This sad story is that it is happening everywhere - in homes, offices, public buildings, backyards and supermarkets. Major US institurions, incuding the Defense Department contribute more than their fair share as do the smallest entrepreneurial elements of the US business community. It is happening literally in front of our eyes, every day. It's getting worse, not better, despite decades of attention. 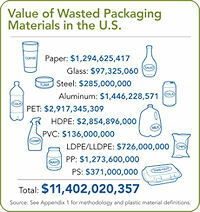 Sadly, it seems that throwing packaging "away" is still a huge part of American culture. Consumer packaging accounts for an increasingly large percentage of the petroleum, fiber and other materials used in the United States. Not only are these increasingly precious materials clogging our landfills, they are also becoming more costly as they become more scarce. 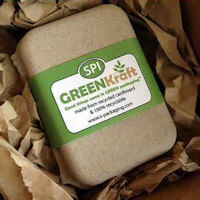 The amount of energy used to manufacture packaging is almost impossible to calculate. Unfortunately the impact on our landfills is calculable and astounding. This phenomenon/problem was highlighted in a recent report by an organization known aptly named As You Sow recently published a study of this issue. According to one of the report's authors, Senior Program Director Conrad MacKerron, "Americans throw away more materials than any other countries." He goes on to say, "â€¦in an age of declining natural resources, such waste is now an indicator of inefficient use of valuable raw materials and market failure. It's simply not good business to throw away billions of dollars of reusable resources." The study is entitled "Unfinished Business: The Case for Extended Producer Responsibility for Post-Consumer Packaging." The report focuses not only on the problem but on the solution as well. The authors detail a waste management strategy known as Extended Producer Responsibility (EPR). The central tenet is that producers of products that "require" extensive packaging, and the producers of the packaging, should take responsibility for the complete life cycle of the materials. As it now stands, in all too many industries and businesses, packaging producers, and the users of the packaging, are not required to take any responsibility for their complete life cycles. 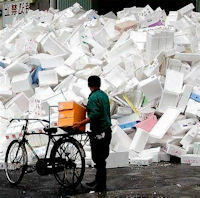 The result is an increasing amount of recyclable waste wasted in our bulging landfills. 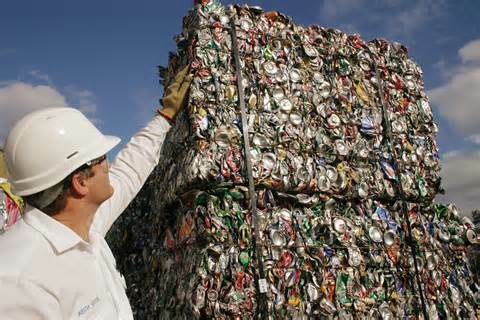 Meeting pent up industry demand for recyclable materials." The study also highlights the fact that many US powerhouse consumer products companies are already on board. They include Colgate, Kroger, MdDonald's Procter & Gamble, Whole Foods and more. For case studies see the complete study. On an individual level there are also some things we can do which can have an impact. In addition, in some cases the simplest things can help us feel we are being helpful and are addressing the problem. We can help by stripping our purchases of their recyclable packaging before we leave the store. While the sales clerk is ringing up our choices we can ask them to recycle the materials in their regular recycling programs. We can also suggest return the recyclable/excess packaging to the manufacturer with a note to please come up with a better packaging strategy. Granted, this is unlikely to produce immediate results but as those responsible hear from more and more of us perhaps they will get the message. In my case I began this process years ago when buying golf balls. I play golf often. Unforutnately I'm not very good at this game so I lose lots of golf balls. When I buy more, usually a dozen at a time, they are almost always packaged inside a carboard box. 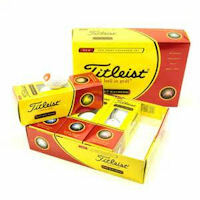 Inside this outer layer of packaging the dozen golf balls are further packaged inside "sleeves" of cardboard and cellophane. Tradition demands 3 balls per "sleeve." I bring my reusable shopping bag and when I get to the checkout stand I remove the balls from the cardboard box and then from the sleeves. I have been doing it so long that most clerks at my favorite sporting goods store now help me with my routine. I ask them to ask their managers to send the packaging back to the manufacturer with a note to reduce their packaging. We can also help by letting our elected and appointed leaders know that we support Extended Producer Responsibility legislation and policies and will consider their position on this topic come Election Day.